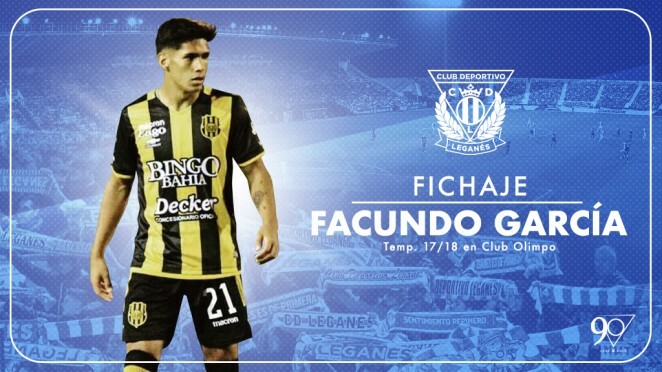 CD Leganés and Olimpo de Bahía have reached an agreement for the transfer of Argentinian midfielder Facundo García for the next five seasons. The player, who is 18 years old, will defend the jersey of CD Leganés until June 30, 2023. He began his career in Boca Juniors and made his debut in Olimpo last year. During the this season, he played 663 minutes in First Division. The footballer born in Olavarría also was drafted by U19 Argentina in the South American Games. Facundo is a positional midfielder with great view creativity and having a great long distance pass.